After our bus ride through hell, we arrived in Nha Trang sleepy and not sure what to do. Right away, we were lucky to met another family from Canada, traveling Vietnam for a month with their two young boys. It was so nice for all of us to make new friends! Vinpearl Land - Located on it's own island, Vinpearl is like the Disneyland of Vietnam. There are amusement rides for kids, both big and small. Take the cable car from Nha Trang, the views are spectacular. We spent almost the entire day at the waterpark. 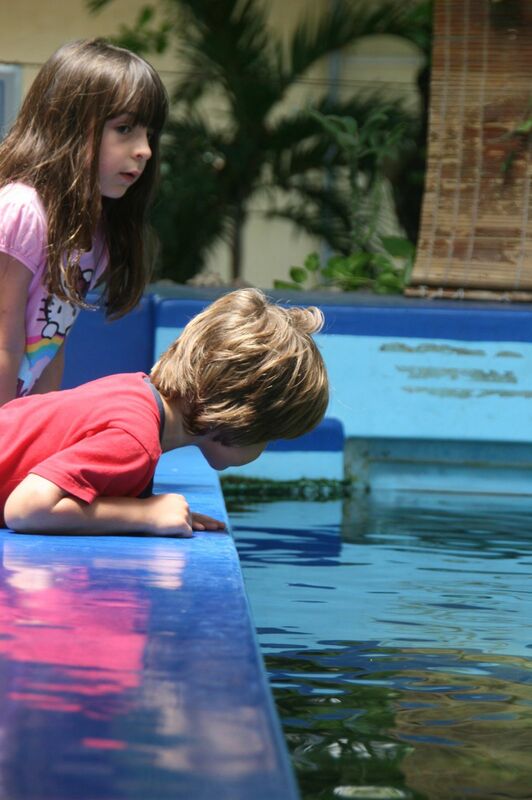 Be sure to check out the aquarium on the walk to the water park. Tip: The cave part of the lazy river can be a little scary for small kids. Nha Trang Beach - The beach was just perfect. We chose to rent chairs at Louisiane Brewhouse for $40,000 per day ($1.90 US) where they have a pool. The pool was a bit too deep, even for the adults. Mud Bath - all of us had the best time ever playing in the mud. There are several mud baths to choose from. We went to Thap Ba Hot Springs. Your time is a bit limited for the actual mud bath portion, which was probably a good thing. However, they have 4 pools to choose from, including a kiddie pool with a shallow end and slides. Kid Carnival - We found an awesome night carnival that our kids absolutely loved located here. It has a rollercoaster, bumper cars, viking swing, bounce houses, ball pit and more. All the rides we pretty cheap too, between 5,000 - 15,000 dong ($0.20 - $0.70 USD). Tip: We always saw plenty of taxis driving around Nha Trang, so there's no need to hire a taxi for the day. Also, always pick a reputibale looking car (we stuck with the green and white Mai Linh). Anyone else have some fun things they did in Nha Trang?